Brexit talks are at a "crucial stage", Theresa May will tell MPs later when she updates them on the negotiations. The PM will say "we now all need to hold our nerve" to get the changes needed to get her Brexit deal through Parliament by the 29 March deadline. She has been trying to secure changes to the backstop arrangement - the "insurance" policy to avoid a return to border checks on the island of Ireland. Leader of the Commons Andrea Leadsom said Mrs May "needs a bit more time" to negotiate with the EU and would give MPs a "meaningful vote" on a revised deal "as soon as possible". Mrs May is due to make a statement to MPs at 12:30 GMT - a day earlier than had been expected - ahead of a debate on Thursday on the next steps for Brexit. "By getting the changes we need to the backstop; by protecting and enhancing workers' rights and environmental protections; and by enhancing the role of Parliament in the next phase of negotiations I believe we can reach a deal that this House can support," she will say. Speaking after a dinner with Brexit Secretary Steve Barclay on Monday night, EU negotiator Michel Barnier said the talks had been "constructive", but added it was "clear from our side we're not going to reopen the withdrawal agreement, but we will continue our discussions in the coming days". A statement from the Department for Exiting the European Union said Mr Barclay and Mr Barnier had agreed to further talks and their teams would continue to work in the meantime "on finding a way forward". Mrs Leadsom told BBC Radio 4's Today programme that Parliament had been very clear it would support Mrs May's deal, "provided the UK can't be held in the backstop against its will permanently". The EU has continuously said it will not re-open the withdrawal agreement - the so-called "divorce bill" laying out the terms of how the UK leaves. But Mrs Leadsom said it would be "an extraordinary outcome" if the EU was "completely intransigent" on the backstop so that "they actually incur the thing they are seeking to avoid" - a no-deal Brexit with the immediate return of visible border checks. However, she would not rule out there being a change to the political declaration part of the deal instead - the non-binding statement on the future relationship - something ardent Brexiteers have previously rejected. To get a deal through Parliament there needs to be a "meaningful vote" by MPs, and a date has still not been set. Mrs Leadsom said the PM was "working flat out" to bring back a revised deal to the Commons "just as soon as it possibly can", and if it is not by the end of February, another amendable motion will be put to Parliament for MPs to air their views. 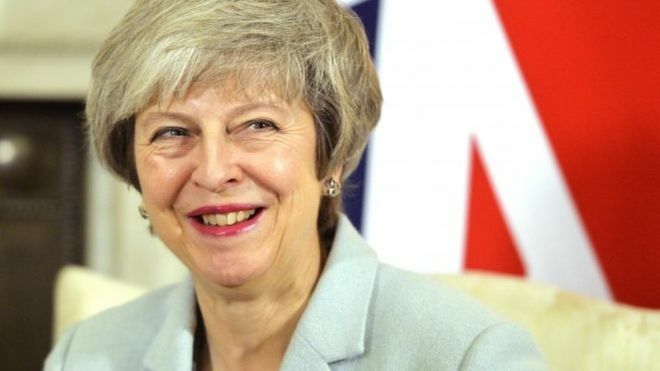 She denied that the government were "running down the clock" to turn it into a choice between the PM's deal and leaving with no deal - but she would not rule out the meaningful vote being delayed until the final days before Brexit on 29 March. Look away now if you are of a nervous disposition. This week's Brexit votes may not come to much. That might mean that she's back before the end of this month with something concrete to vote on. Or it may well not. But there's a building impression in Westminster, and in Brussels, that there simply won't be a resolution to these months of indecision until weeks before, maybe even days before we are due to leave (that's why some cabinet ministers believe that, even though it's not desirable, the government may end up asking to extend the whole process as we discussed here before). The Labour leader wrote to the PM on Wednesday with a list of five demands to secure his party's support for her deal, including a permanent customs union. The prime minister has struck a conciliatory tone in her response and said she looked forward to the two parties meeting again "as soon as possible" to discuss ways forward on Brexit. Some of Mrs May's cabinet colleagues also quashed the idea, with International Trade Secretary Liam Fox calling Mr Corbyn's proposal a "dangerous delusion". Commons leader Andrea Leadsom said there was "no chance" of Mrs May accepting Labour's Brexit vision, adding that the prime minister had been "absolutely clear" the UK was leaving the customs union. Mrs May told the Labour leader: "It is good to see that we agree that the UK should leave the European Union with a deal and that the urgent task at hand is to find a deal that honours our commitments to the people of Northern Ireland, can command support in Parliament and can be negotiated with the EU - not to seek an election or second referendum." Shadow Brexit Secretary Keir Starmer said his "key question" about Mrs May's response was: "Is she prepared to move her red lines and find a consensus?" "I don't see that in the letter," he said. "The point of the exercise was to say, look, there is a majority for a close economic relationship, if you're prepared to try to find it, and I've said for some time we should test that by having a vote on a customs union." Mr Corbyn's letter to the prime minister was "interesting in tone and substance", Mr Barnier said. Members of the Alternative Arrangements Working Group - including Conservative MPs Steve Baker, Marcus Fysh, Owen Paterson, Damian Green and Nicky Morgan - attended the meeting. Mr Baker said the talks had been "constructive".